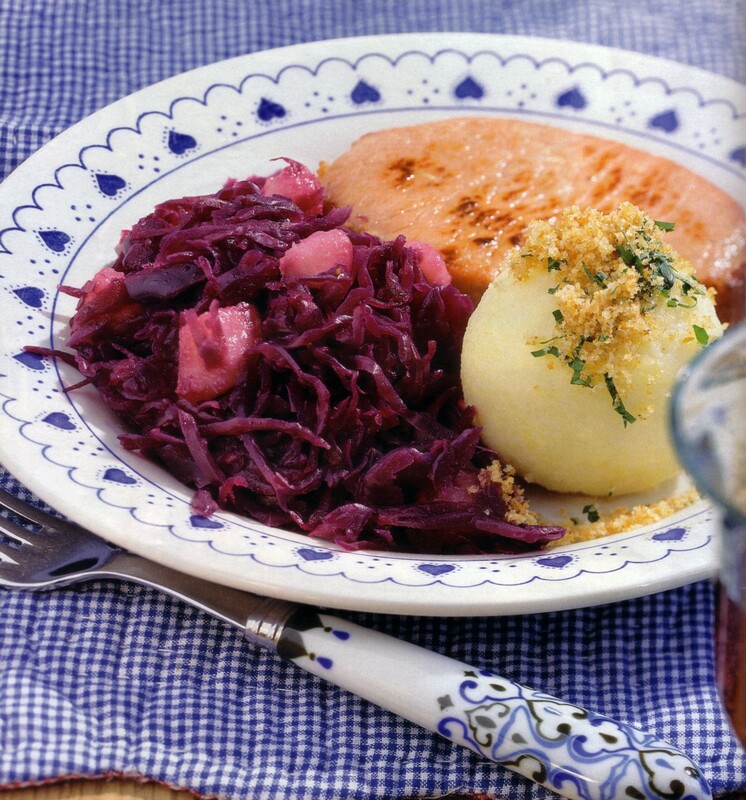 The German red cabbage with pears is a delicious side dish for goulash, roasted beef or any beef or pork dish. It is a perfect combination with dumplings, Spaetzle or mashed potatoes. Pears go very well with red cabbage and the best is to use organic red cabbage for this dish. Happy Cooking! - Remove outer cabbage leaves, cut red cabbage in quarters and remove hard parts. - Cut the cabbage in very fine stripes or grate it. - Peel onions and chop them fine. - Melt sugar in a pot until yellow golden, add lard or ghee, saute onions until transparent. - Add cabbage, place juniper berries, clove, cinnamon stick and bay leave in a muslin bag, and add it to the cabbage. - Add the vinegar and the pear juice. - Let it simmer covered on medium-low heat for 1 hour, stir frequently. - Take off lid and let is boil until all liquid is gone. - Peel pears and cut in small cubes, add to cabbage and let it boil for another 6-8 minutes. - Spice with salt and pepper to taste.